Posted October 4th, 2015 by Mike Boyes & filed under Clinical Health Psychology, Health Psychology, Research Methods, Substance-Related Disorders. Description: The pitch about e- cigarettes seems to be that they both help people quit smoking can provide people with a safer alternative to smoking if they’re so inclined. But just what is the relationship between smoking E cigarettes and smoking real cigarettes? 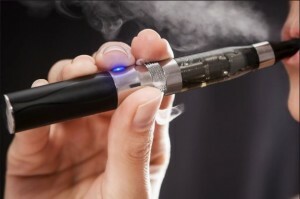 Source: PsychCentral, Do E–Cigarettes Lead to Smoking Tobacco? Rick Nauert. Most people use E cigarettes or “vapes” argue that they are safe alternatives to real cigarettes as they provide nicotine without the multitude of additional harmful substances contained in cigarette smoke and otherwise only expose the users to water vapour. The important question however concerns the relationship between the use of E cigarettes and the use of real cigarettes. From an addictions point of view, it is worth investigating whether having people switched E cigarettes helps them quit using real cigarettes. However another very important question concerns whether the use of E cigarettes increases the likelihood that people might switch from them to real cigarettes and all of the health complications associated with their use. This article describes a research study that examined this question directly. Is there a relationship between the use of E cigarettes and the eventual use of real cigarettes? What are some of the limitations noted by the authors of the study described in this article of the conclusions they were able to draw from the research? What sorts of things as research like this suggest we need to think about informing and implementing social policy related to smoking and particularly to the use of cigarettes and E cigarettes to my adolescents and young adults? Bullen, C., Howe, C., Laugesen, M., McRobbie, H., Parag, V., Williman, J., & Walker, N. (2013). Electronic cigarettes for smoking cessation: a randomised controlled trial. The Lancet, 382(9905), 1629-1637. Khan, M., Stanbrook, M. B., & Allehebi, R. O. (2015). Efficacy And Safety Of Electronic Cigarettes For Smoking Cessation: A Systematic Review. Am J Respir Crit Care Med, 191, A3715.